Katie Zerkle is a student at Grand Valley State University and an ISA Featured Blogger. She is studying abroad with ISA in Málaga, Spain. 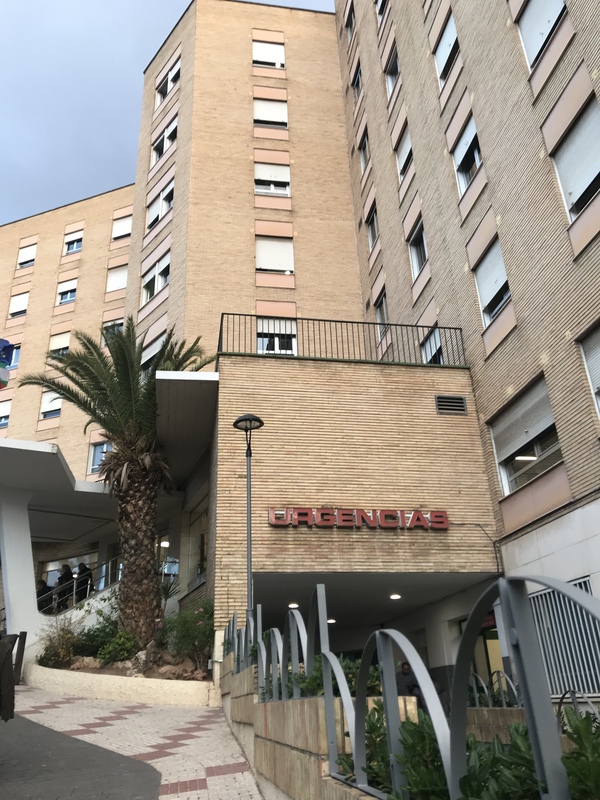 It is my first day at my internship in the Urgency Department in a hospital in Málaga. I’m surrounded by people coming in on stretchers, doctors speaking rapidly, and nurses administering medications. A rush overcomes me as I’m witnessing firsthand cases of patients that I have learned about in class—but I still felt at a disadvantage because of the language barrier. I have been studying Spanish since I was a child and have worked in clinical settings with primarily Spanish speaking populations before, but I feel frozen and almost forgetful of any Spanish I have learned. It takes me about two hours into my first shift to feel comfortable enough to ask questions. I have never met a more welcoming group of doctors- one doctor even spends two hours explaining how to analyze electrocardiograms. I believe learning Spanish in any career choice is vital, but especially so in the medical field. As someone pursuing a career in the medical field, medicine is its own universal language itself. Being able to provide medical care in itself is such a privilege—but to be able to communicate to your patient in their given language is only one of the many ways care can be enhanced. Typically, doctors, physician assistants, and nurses come into contact with people that are going through one of the worst times of their life, to be able to speak to others in their native language can eliminate patient stress and clear up any uncertainty in their condition. In addition, being bilingual makes a person more marketable to other employers and can substantially increase one’s salary. My goal is to work in a clinical setting as a physician assistant with undeserved populations while utilizing my knowledge of medicine and Spanish by being able to fluently talk with my patients in their native language and providing compassionate care. Greetings! I am re-blogging this ISA student blog about learning another language matters in a career. I agree wholeheartedly that spending time studying or working or living abroad expands our minds in ways we don’t anticipate for the rest of our lives. Enjoy!